This activity includes a variety of fun experiments addressing color pigments. Students separate various pigments that make up specific colors using safe solvent mixtures provided. 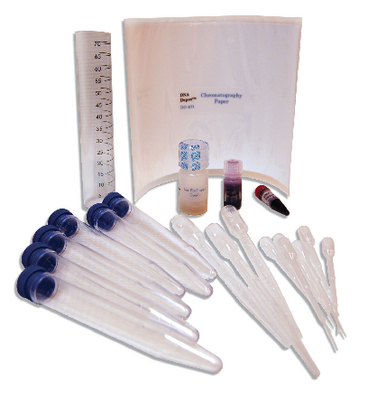 Paper and ion exchange chromatography are introduced as methods of analysis.